childhood dreams are something that i treasure… i still remember mine and today, a few of them have come true, for which i’m so incredibly lucky. 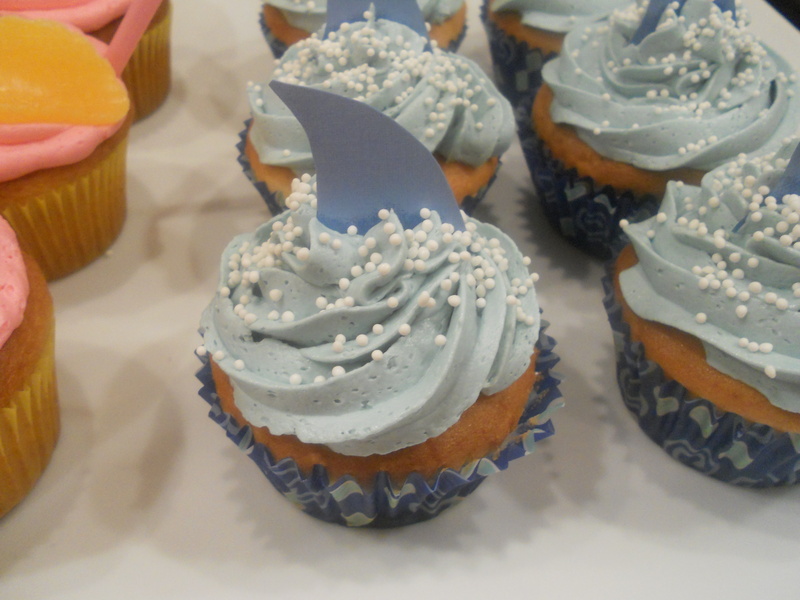 others, time will tell, but the biggest dream i have is to own a cupcake shop! i have a name, store decor, flavors, color schemes, menus, etc. a little overboard, but let’s call it productive! a friend and i started baking a lot this past semester at school in preparation for a special project, and came up with some amazing creations: devils food cake cupcakes with guinness cream cheese frosting along with mint green vanilla mint cupcakes with a green oreo bottom, mint cookies and cream frosting and a little oreo on top (all for st. patrick’s day!). it was so fun, the turnout was great and we were both doing something we loved, while adding some business elements (thanks to the good ol’ business school!) and a bit of encouragement from an amazing teacher. 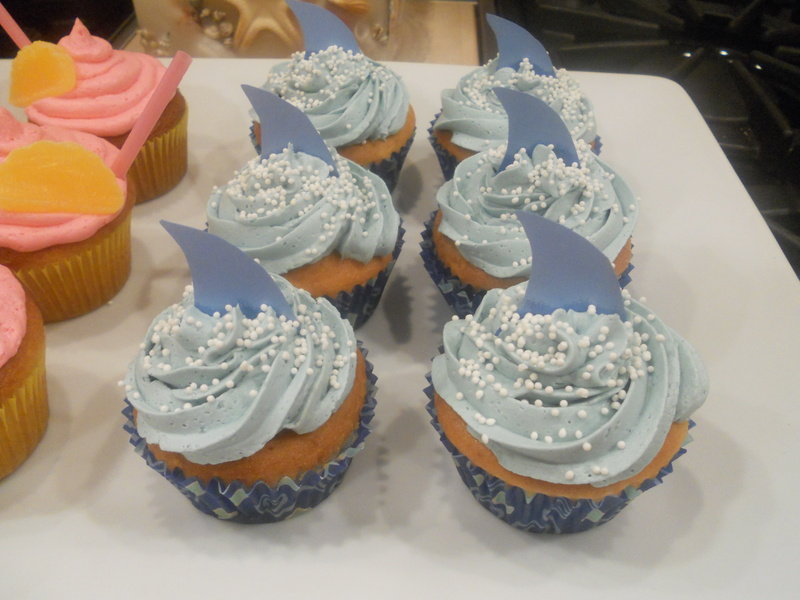 baking is a huge part of my life, and maybe one day i will have a cupcake store, but who knows what life will bring! 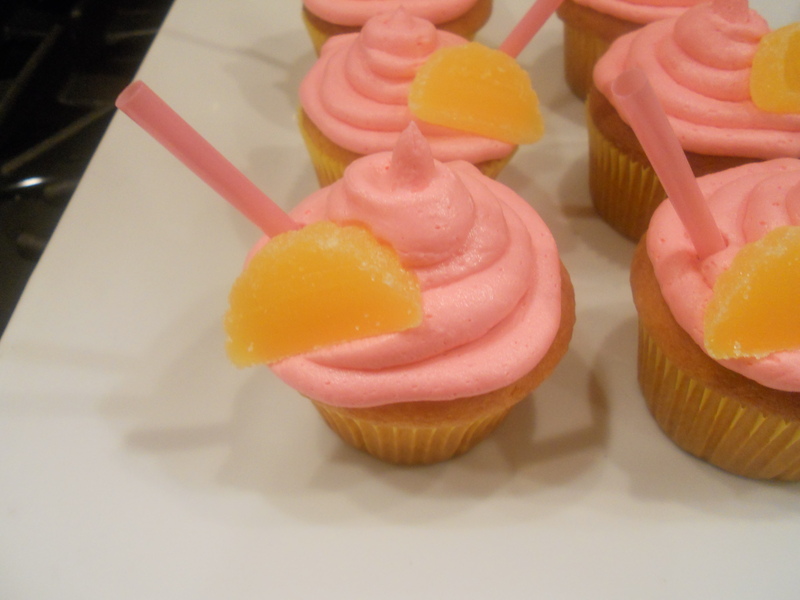 until then i’ll continue baking in my kitchen, and experimenting on my own… so that all was a major side note! 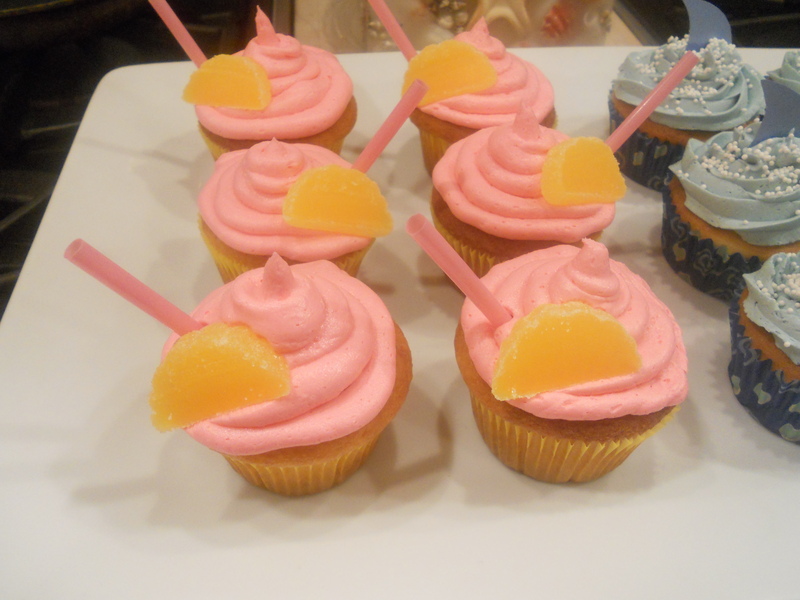 the main reason for this post was to show you guys some very cute cupcakes i made for a crewcuts (j.crew for kids) event at the j.crew i work at. 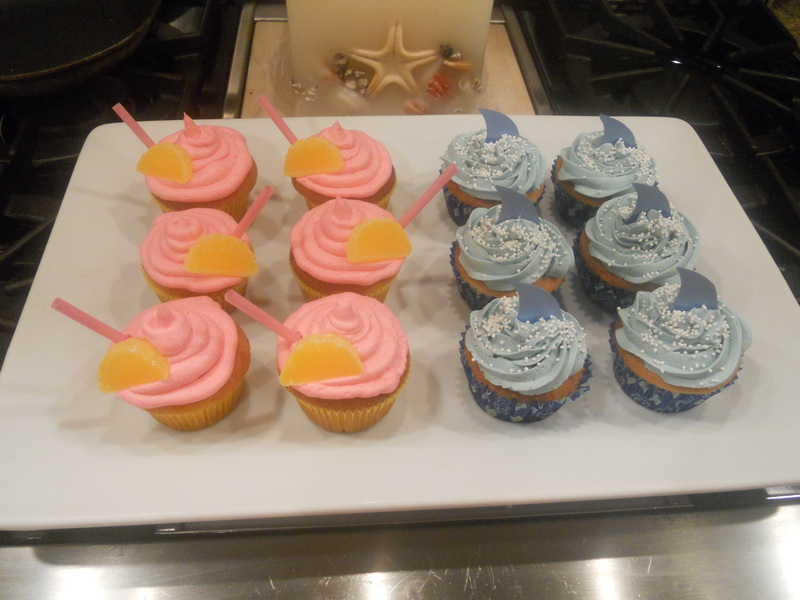 i tend to work in that section, and needed to make boys (shark bite) and girls (pink lemonade) cupcakes… thank you to martha stewart for the great recipe (for the shark bite cupcakes) and my mom for giving me full reign of the kitchen!